A greater quantity of flowers are produced when plants well fertilized. Do not fertilize plants when soil is dry. Plant does not like to be either over- or underwatered. 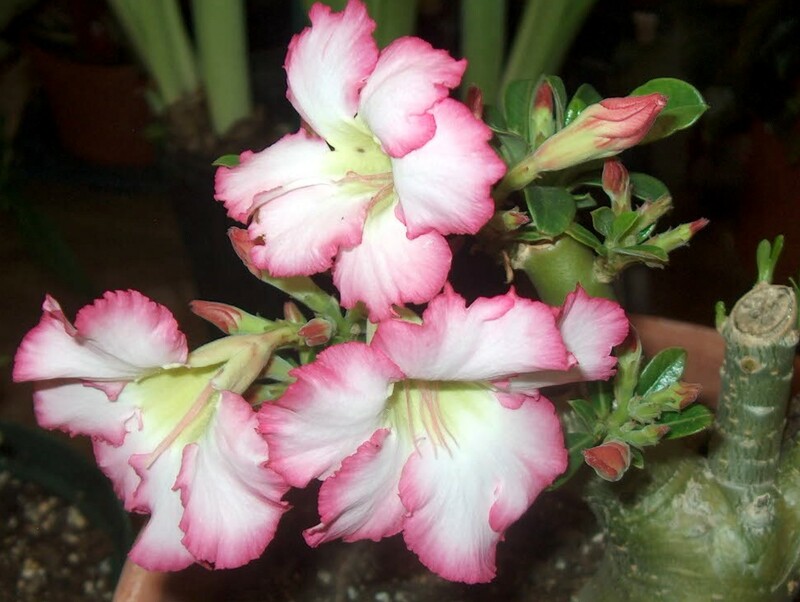 Comments: There are selections of Adenium that have flowers from white to dark red. In height this species is generally between 3 and 9 feet. Growth, a bulbous lower trunk, and more flowers are produced when plants are well fertilized. With this species, as well and many others, never fertilize when the soil is dry. Many exciting hybrids have been developed in China and neighboring countries.